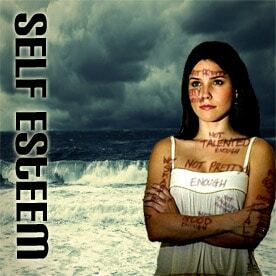 Are you suffering from low self esteem and are searching for a way you can improve it? Then you have to be aware of 8 secrets that will make it so much easier for you to improve your self esteem. If you just take time to use them, these secrets will allow anyone to improve self esteem. Below are the secrets that are the most important for you to know about. 1. Positive image of yourself – It is imperative that you gain a positive image of yourself. You have to know and remember that you are a person of value. Everything you do or say is important. 2. Clean slate – Always start each day with a clean slate. Don’t dwell on anything that happened the day before or even weeks before. Use each day to start over with a clean slate because this will make it simpler for you to improve self esteem. 3. Correct thinking – You don’t want to get in the habit of thinking negative things about yourself. Instead, start getting in the habit of thinking only positive thoughts. If you find yourself thinking negatively, then change that right away with positive thoughts. 4. Your future – You have to remember that your future and what happens with it is up to you. Don’t allow others to do this for you because they haven’t been and won’t be living your lfe. 5. Confidence and enthusiasm – Every decision, thought or task needs to be done with confidence and enthusiasm. This will help you get in the habit of always doing this will definitely help your self esteem improve. 6. Positive attitude – Thinking positive thoughts is definitely important, but you also need a positive attitude. You have to get in the habit of doing this on a daily basis because it will have a great, positive impact on your self esteem. 7. Friends with the right mindset – Surround yourself with people that think positively and that have positive attitudes. This will make it much easier for you to also get in the habit of doing this for yourself. 8. Your values and standards – You have to be aware of what your standards and values are. No matter what, you have to be ready to stand by them and not let them go. If someone doesn’t like your values or standards, then that is their problem, not yours. Now that you are aware of these secrets, you will be able to easily improve your self esteem; all that remains is to get started using them for yourself. The sooner you use these secrets, the sooner you start noticing a definite improvement in yourself.